The tradition of afternoon Kaffee und Kuchen (coffee and cake) is well practiced throughout Germany and is especially embraced in Berlin where a large number of casual, part time and freelance jobs have created extra demands for caffeine-fuelled afternoons. The city’s plethora of quaint cafés and stylish coffee houses are always packed to the rafters, even throughout the week. Most weekend brunch menus will also feature all manner of cakes and sweet treats to go alongside your continental breakfast. 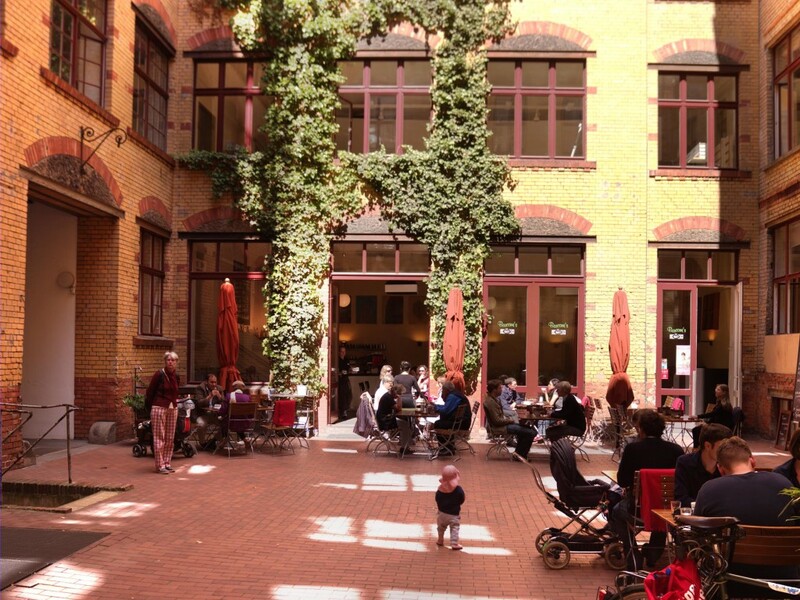 Named after the famous Kurt Schwitters’ poem, the shaded patio of the sophisticated Anna Blume fills up quickly and is the place to idle away an afternoon in leafy Prenzlauer Berg. 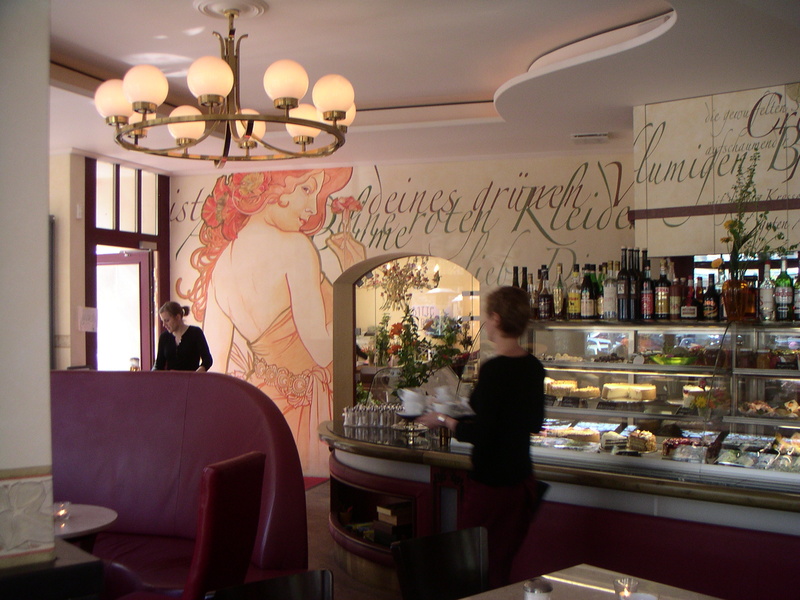 Inside, lines of Schwittters’ verses and fanciful Art Deco figures are sketched across walls as diners cosy up in the red leather booths. The glass counter is jam packed with various classic cakes, tarts, and cheesecakes, and can result in many agonising decisions. Anna Blume’s fancy interior (Photo credit: Anna Blume). Hipster haven Five Elephant is the go-to place in Kreuzberg for third wave coffee. 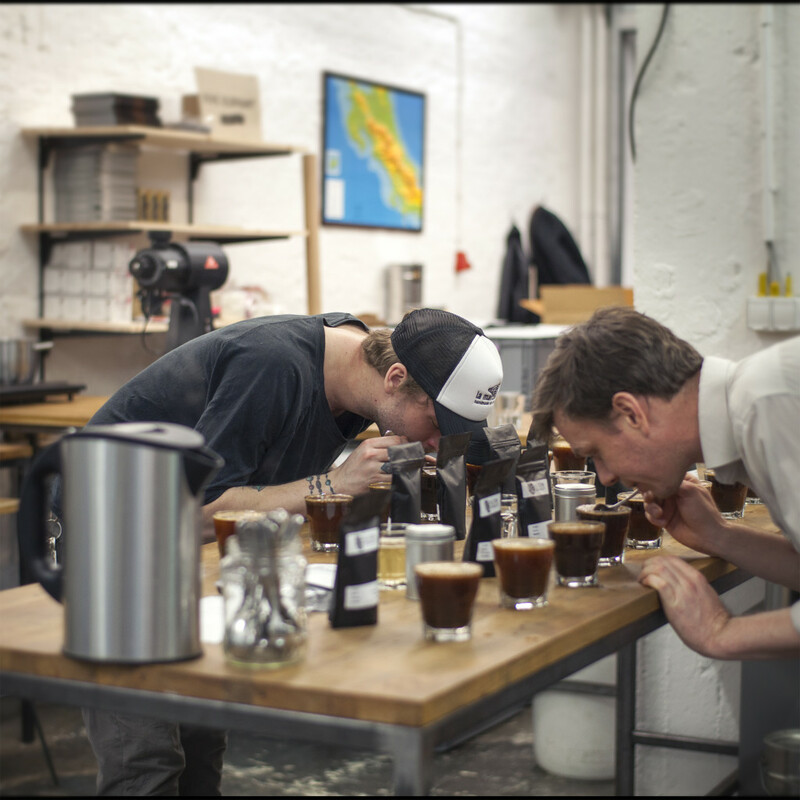 These guys take the drink so seriously they even roast their beans themselves out in a back room. 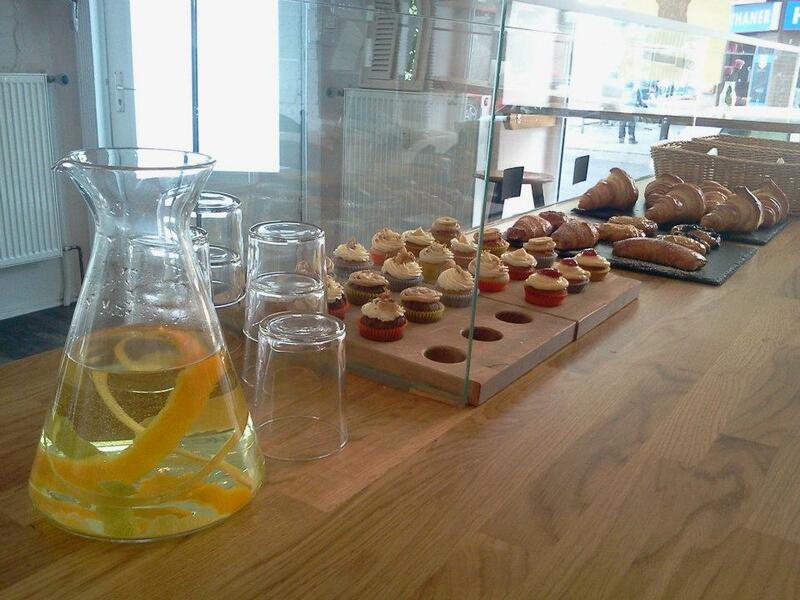 The various chrome brewing contraptions on the main counter battle for attention with the delicious cakes on display. If in doubt, plump for the Philadelphia-style cheesecake, said to be Berlin’s best. The world maps on each wall provoke a strong sense of internationalism, which is thoroughly backed up by all the expats who regularly cross the threshold for a caffeine fix. Drinking like the pros (Photo credit: Five Elephant). If you’re a homesick American, or someone who just simply wants to sample some stateside treats, Barcomi’s should be high on your radar. After leaving New York for Berlin, Cynthia Barcomi opened her first café in Kreuzberg way back in 1994. The pink walls and floral stencil work may be as sugary as the pastries on display in the counter, but the prized seats are out in the leafy courtyard. Fluffy cupcakes and devilishly creamy American cheesecakes are popular choices, but you can’t get more traditional than teaming up your coffee with a slice of authentic apple pie. Kaffee und Kuchen in the sun. Image from Barcomi’s. Cafés with slick white interiors and natural wood furnishings are ubiquitous around Berlin, but Bully’s Bakery manages to have one up on all the others – the eponymous French bulldog is left free to roam around, cuddle up to customers and hoover up any fallen crumbs. There’s various baked goods that could be held accountable for those crumbs, but the café’s pear tarts, cheesecakes, and rice pudding cake are the big attractions here. The extensive menu of loose leaf teas provides ample choice for those who don’t want such an intense caffeinated buzz. So many cakes, so little time… (Photo credit: Bully’s Facebook page). 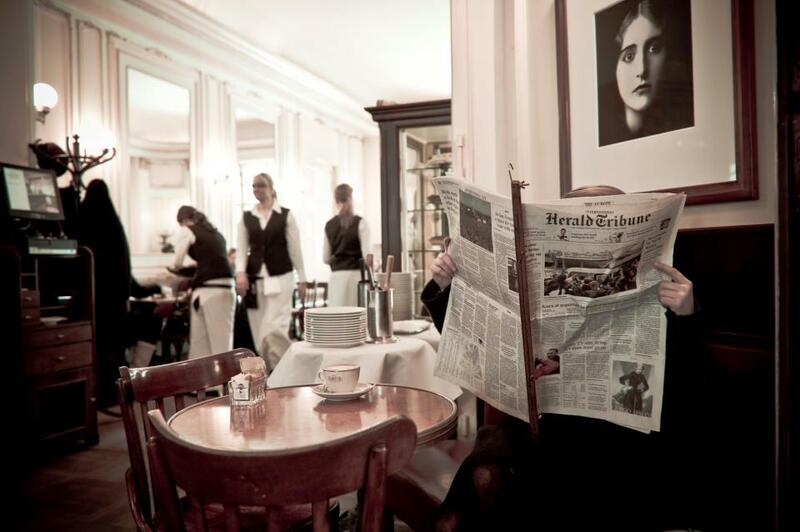 The elegant Cafe Einstein (Photo credit Einstein’s Facebook page). Now that you’re fully caffeinated and refuelled, why not take a look at our Secret Seven original things to do in the German capital? Or our full guide to weekends away in Berlin, with tips on everything from where to stay to what to read on the plane over… the informed traveller travels better! 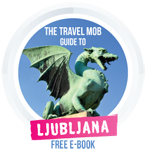 I’ll be needing this when I am in Berlin in August… thank you in advance. After graduating in the UK, Laura swiftly relocated to Berlin to put her German degree to good use. Currently carving a career for herself in the pie world after co-founding Pieoneers, she also works as the assistant editor at Slow Travel Berlin.